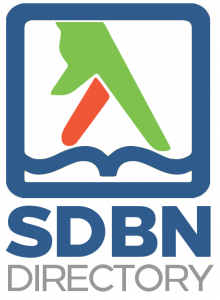 Since the SDBN’s founding in 2008, we’ve maintained the most complete and accessible local directory of companies to help connect professionals in the region. We’ve recently updated the directory with more information and features. Check out the interactive infographic below and scroll down to learn about how to use the directory and our future plans. For this update, we’ve added information such as physical address, phone number, website link, category (e.g., Therapeutics, Research Products), year founded, type of organization (e.g., Privately Held, Public Company). We obtained the data through information publicly available on the web, such as company websites and LinkedIn. We included only companies directly involved with life science research, services, or products and did not include consultants (this may be available soon). Each company will now have an individual listing page, which they’ll be able to update soon. If the information we’ve provided is wrong or incomplete, simply contact us and we’ll take care of it. In addition, you’re now able to do advanced searches such as this one to see which local biotech organizations are public and headquartered in California or which Therapeutics companies with a size of 1-10 people were founded in 2008. After closely watching the local industry for 5 years, a few of the facts were surprising, a few were as expected. The “footprint” for our region is that most of the companies are small, with 256 of the 408 companies being fewer than 50 employees. The trend for smaller, sometimes virtual, companies forming is well known, with the number of very small companies (1-10) increasing, with 90% of the new companies in 2013 formed so far being in this range. We were able to find a physical address for all but a handful of the entries, and often used this as a criteria for including a company. We were a bit surprised that a majority, 55% of the companies were in the zip code 92121, but companies span from the US-Mexico border to Temecula. We were surprised to find that there are 34 public life science companies headquartered in San Diego. Indeed, with the acquisition of Life Technologies, Amylin, and others over the past few years, this number is encouraging. The size of these companies ranges from 1-10 to 1001-5000, and is dominated by Therapeutics and Medical Device companies, the latter we don’t often think of being prevalent in the region. Currently, you can browse the categories, search for the name of a company, or perform an advanced search to find companies that meet certain criteria. The directory can be used for job searches, business development, local sourcing of projects, or informational purposes. There have been many reports on the ranking of biotech hubs, directories such as these help to put regions in perspective. In the future, we plan to add many features such as descriptions, links to social media, and media. By allowing companies to maintain their listings, we also hope that this “crowd sourced” information will be kept more up to date. Basic listings will be free, but you’ll be able to pay for premium listings which will be more fully featured. We envision the directory as a place where companies will be more visible and showcase their products, job openings, and news. If you have an idea for the directory, would like us to do an analysis, or want to claim your company listing, contact us.